Agency The fresh Group has expanded its team with two new appointments, as it enters the pharmaceutical sector with new client Abbott Vascular. Ruth Downs has joined the company as business development manager this month, bringing with her 12 years of experience. During stints with McCann Ericsson and TRO, she has worked with a wide range of clients including Diageo and Nike. 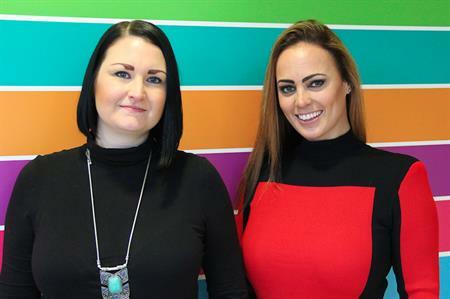 Meanwhile, the in-house digital team has appointed Gemma Illidge as digital account director. As a senior lead within the team, Illidge will lead the strategy and creative elements of a wide variety of both standalone digital projects, as well as managing the digital elements of full-service events and communications projects from pitch stage to live delivery. Patrick Howells, managing director at fresh said: "Ruth brings a lot of agency and experiential knowledge to our already successful new business team. As a key part of the business, we pride ourselves on our new business track record and the standard of our pitches. Our team work on all aspects of new business generation, from being the first point of contact for new clients to producing our pitches and proposals with the wider team at fresh. It was really important for us to find a candidate that could offer the potential to work across these areas on a wide range of projects and clients." Speaking about Illidge’s appointment, Michael McCabe, director of creative services at fresh, said: "Gemma stood out as a really strong candidate when we were recruiting for this position. Her passion really came across, which mirrors the ambition of the whole digital team within fresh. She has a lot of experience delivering high-profile digital campaigns for a wide range of blue-chip clients and therefore offers a lot of skills and experience to add into the mix of our other in-house digital specialists." Howells added: "As a business, fresh exists to create and deliver inspirational communications that ensure brands achieve their ambitions. These new appointments are part of our on-going strategy to deliver exciting new work with like-minded clients who share the same goal as us." The new appointments come at a time when the business is investing in developing its in-house creative offering, having recently launched a new brand look and feel on its website, and while continuing to deliver a wide range of live conference, experiential, film, digital, creative and exhibitions projects for existing clients.